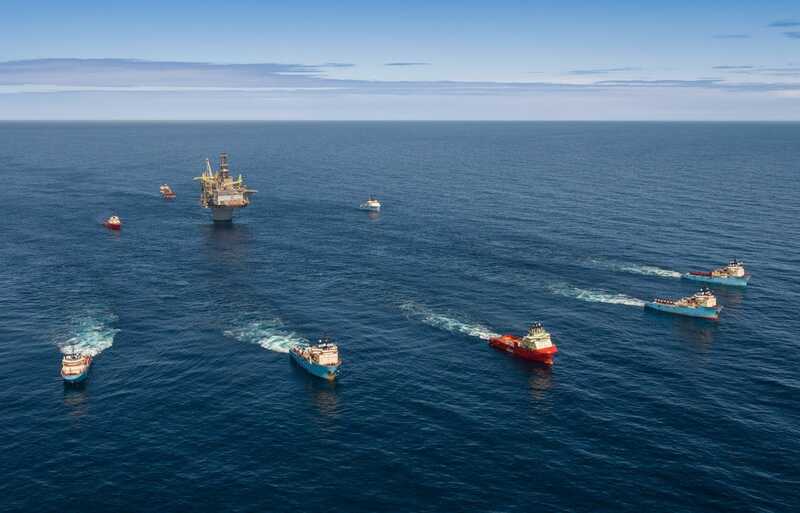 Following a 12 day journey from the Bull Arm Construction Site in Newfoundland and Labrador, the Hebron Gravity Base Structure (GBS) has reached its final destination on the Grand Banks, offshore Newfoundland. The GBS is 220 metres high, 130 metres in diameter, and contains more concrete than the Empire State Building. Later this year oil production from the Hebron oil field, located in the Jeanne d’Arc Basin, is set to begin. 7,500 employees were working on building Hebron GBS in Bull Arm, Newfoundland and Labrador, at peak construction. Check out the time-lapse video of the construction of the Hebron platform here.